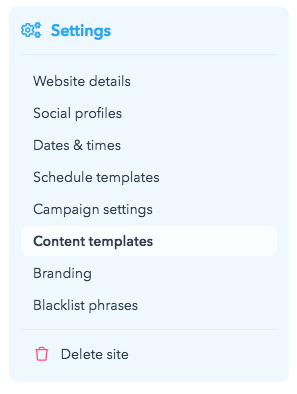 After a while, you can get tired of the default sentences we’re using for your posts - “Just published an article”, “Hot off the press”… and you want to create more variety. Or your blog is not in English, so these make no sense for you. 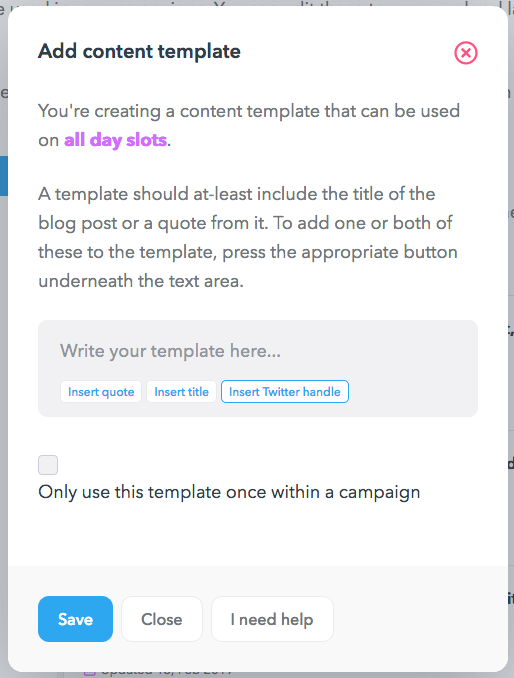 With the “Content templates” feature, you can create your own default sentences. Before you start editing the templates, it's important to know which building blocks are available here. Quote from the blog post - "%(quote)s"
So, you'll basically be putting blocks together and you'll be able to add your own text. 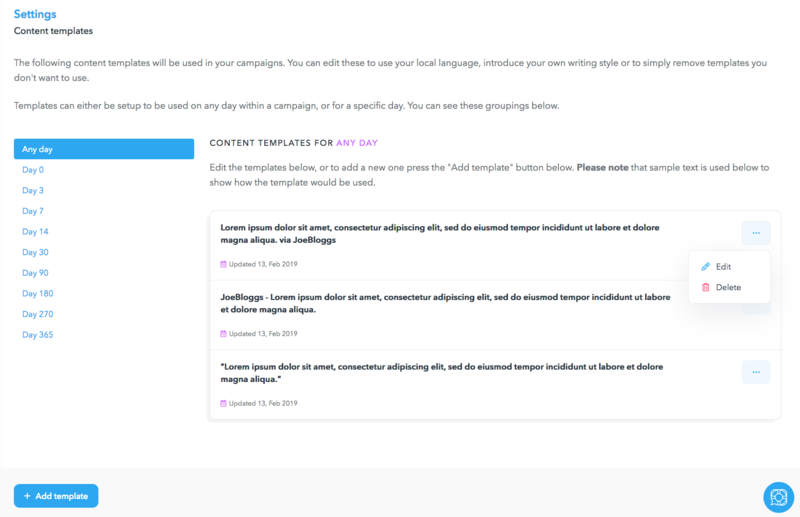 You can also see there is a box you can check if you want one template to be used in a campaign only once. 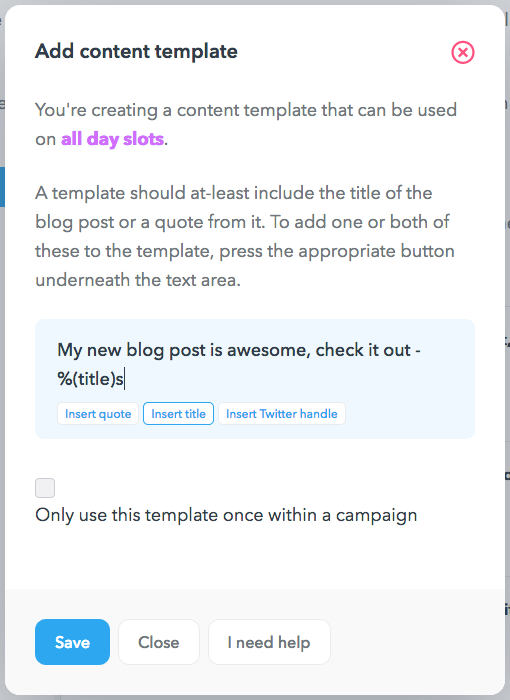 Once you are happy with the content template, hit Save and it will be added to the list. 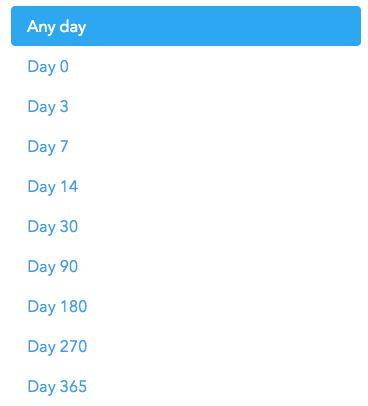 Please note that this feature is available to users on Business plan or above.